North America more in "New Orleans"
Looking for the best jazz band in town? Need just the right dress from the boutiques? Want the hottest artists? latest creation? They're on it. Just push a button on your room's phone to reach them. Reserve your complimentary ride with personal driver and enjoy a world-class luxury SUV, fully stocked with W goodies for the ultimate Whatever/Whenever® service. The breathtaking outdoor pool is surrounded by green trees and an intricate iron gate designed to transport you to the French Riviera. 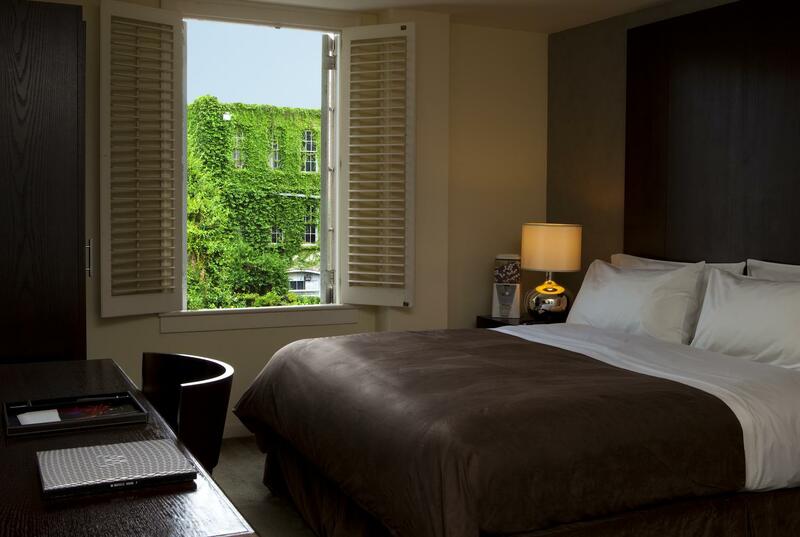 W is surrounded by the best of New Orleans: bustling Bourbon Street, charming bistros, boutique shopping, historic Jackson Square, galleries, and live entertainment. Hotter than Mardi Gras 'cause it's happening all year round. It's W New Orleans - French Quarter. 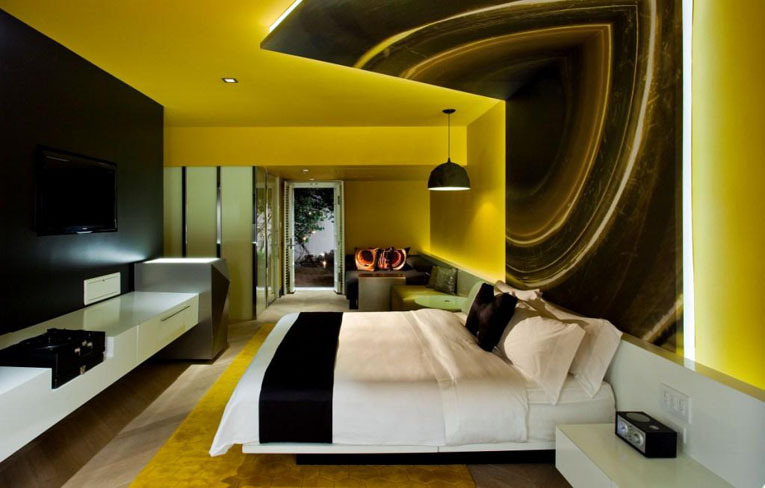 Why not stay a while? 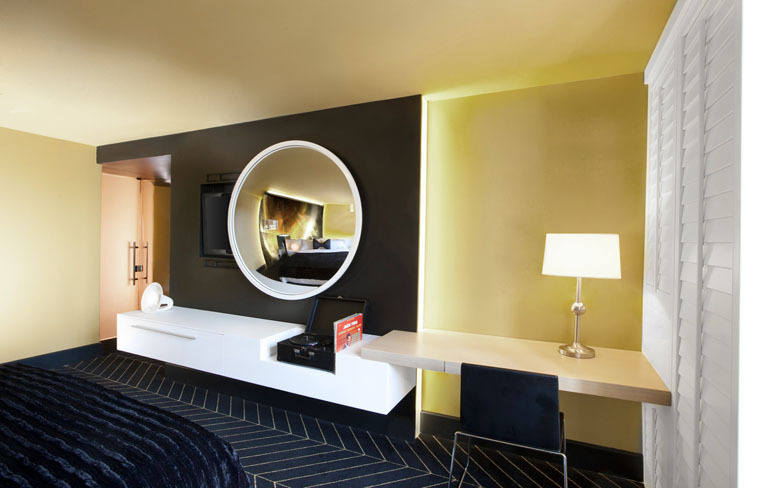 Meet and mingle in our playful Living Room. 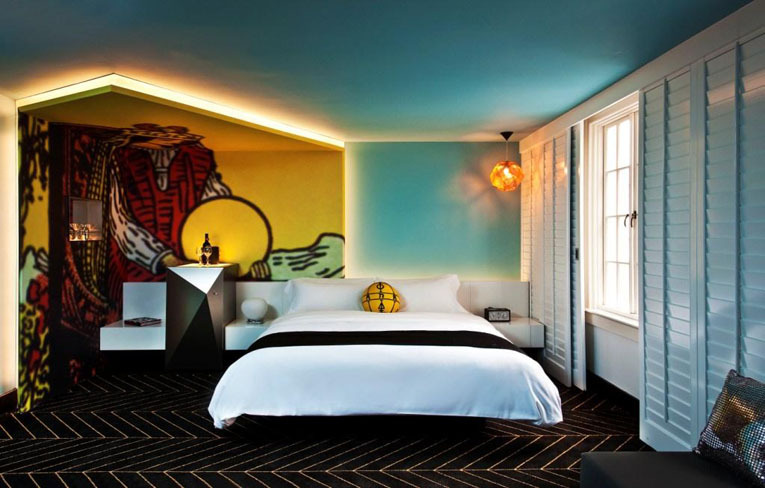 In a city filled with exquisite shops, great music, and an unparalleled nightlife, W New Orleans - French Quarter offers savvy travelers the style and design they deserve. 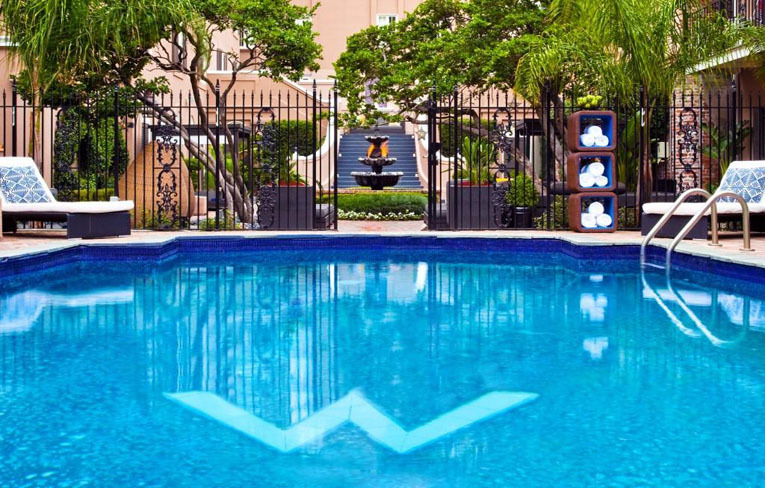 In a town known for indulging the senses, the W fits right in with 98 stylishly comfortable rooms including 4 carriage houses and 2 deluxe suites. 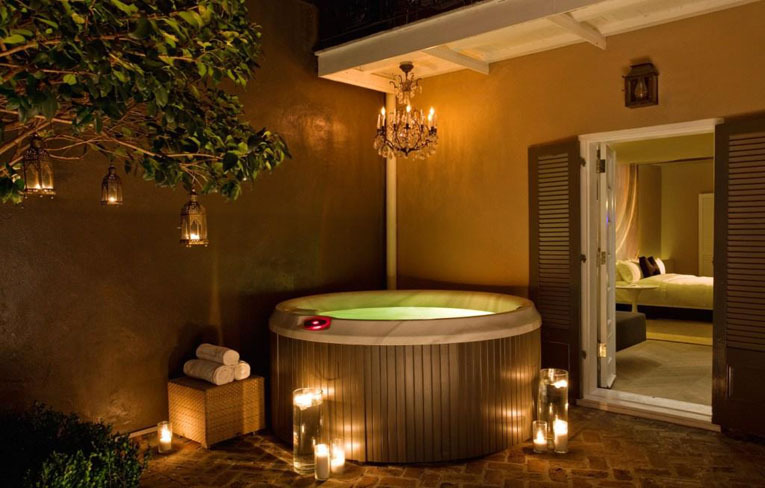 Watch evening settle on the balcony, or unwind, indulging in the legendary Bliss® Spa products. 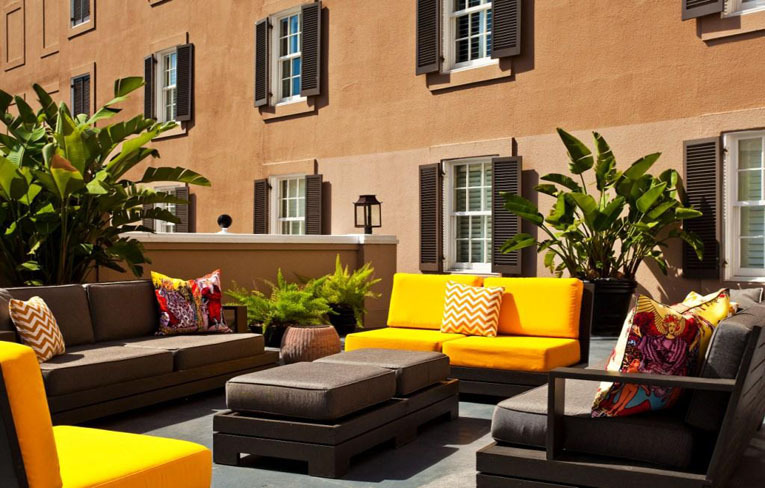 Bask in big style in the Big Easy. 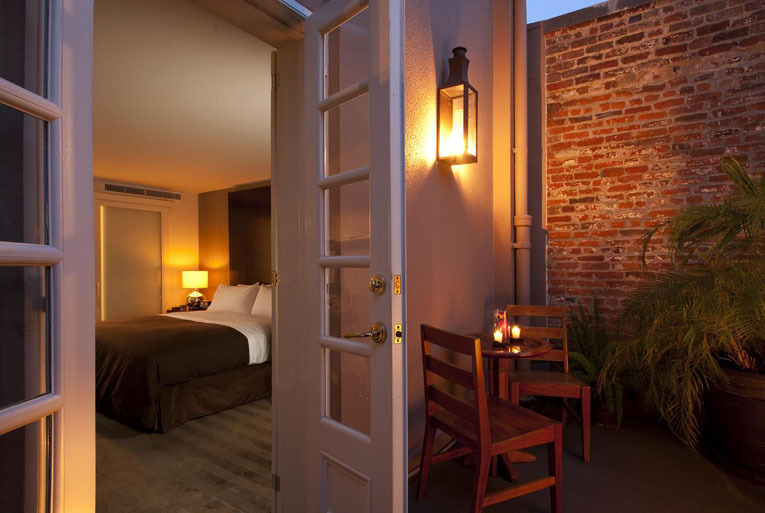 Savor the French Quarter's charms. 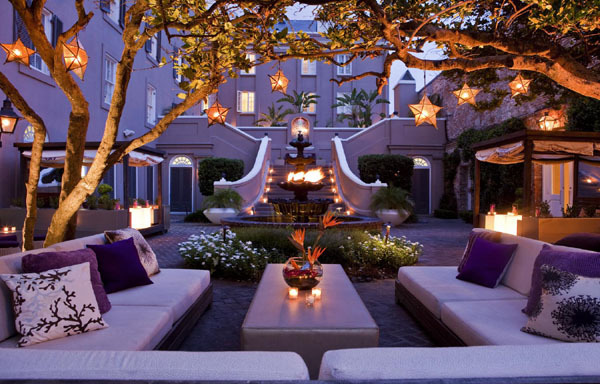 Lounge in the outdoor courtyard's Living Room or by the fountain. Make yourself at home. 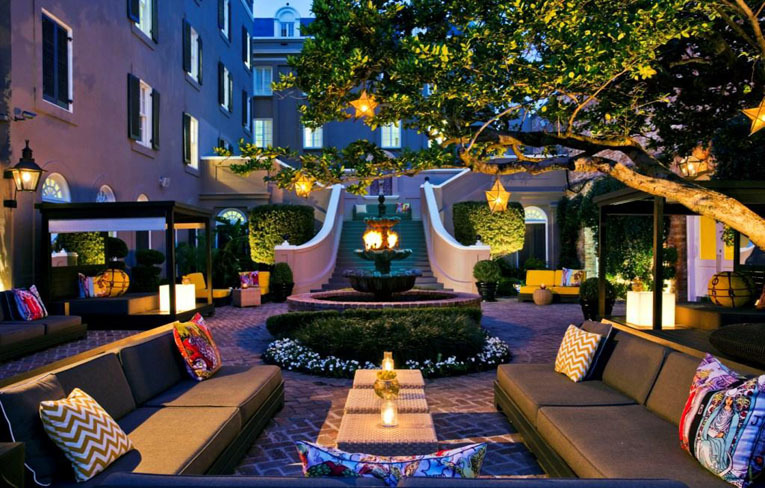 Stroll through our visionary European courtyard to a standalone building, home to our four Mega Rooms. 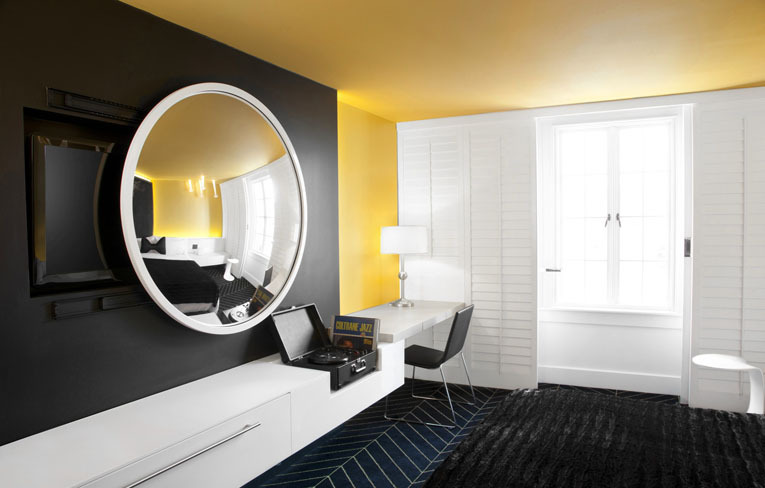 Settle into the couch and sip a brew from the mini bar while basking in the custom décor, designed to reflect the rich culture of New Orleans.